Author Michael Argetsinger traces life of Bob Marshman, whose rapid rise to the very top of American Championship racing was phenomenal but sadly cut short by a tragic accident in 1964. Preorder your copy today! Shipping May 27th 2019. Celebrated author Gordon Kirby traces the long and significant life of Wally Dallenbach whose contributions to the sport of automobile racing have been enormous over the 50 years of his remarkable career. 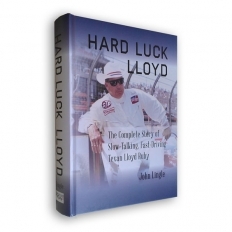 A dynamic and thoroughly researched biography from a leading Ford historian.